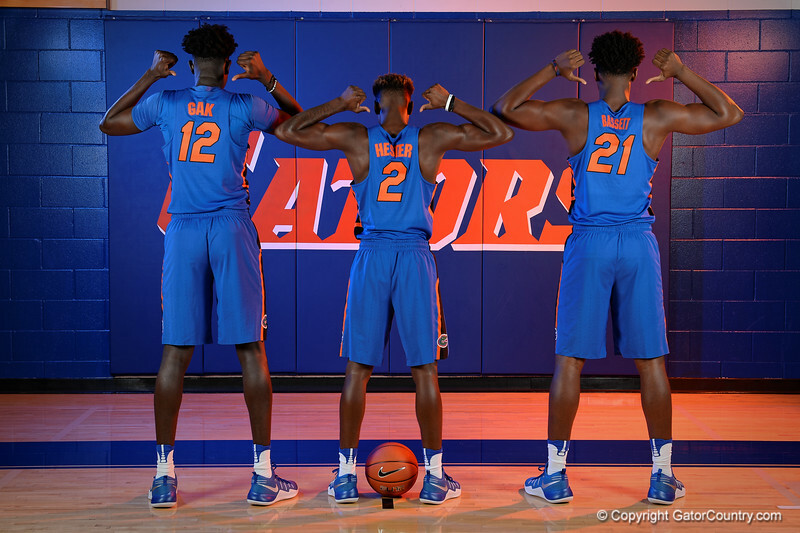 University of Florida Gators basketball 2016 freshmen class Gorjok Gak, Eric Hester and Dontay Bassett pose for portraits during the 2016 Florida Gators basketball media day. October 6th, 2016. Gator Country photo by David Bowie.